In 2008 I met an Israeli working on a joint project in Rajasthan to grow olives. The gentleman, whose name now escapes me, exemplified the hard-working, sun-burnt, weathered individuals that are the totems of Israel’s success. He could easily be one of the individuals that Theodor Herzl imagined when he wrote Der Judenstaat or ‘The Jewish State’ in 1896, the hardworking, scientifically inclined European Jew who would make the land flourish in cooperation with his desert cousins, the Arabs. In reality, though, the kibbutz – the agrarian collectives where these agrarian miracles happened – never accounted for more than a very small part of the Israeli economy, or its story. There is a great piece in Amos Oz’s memoir, The Story of Love and Darkness, where he describes the struggle between wanting to buy cheese from the kibbutz, and cheese made by Arabs. The first was more loyal, more “germ-free”, the second was tastier, and also a little cheaper. The kibbutz was great advertisement, but the reality for most Israelis was decided by pragmatic steps, and so the little communes have dwindled in number and size, though their story has not. All of this was brought home to me when I received a copy of Seth Siegel’s Let There Be Water: Israel’s Solution for a Water-Starved World. It is promoted as a New York Times bestseller, and boasts blurbs by Shimon Peres, Michael Bloomberg, Robert F Kennedy Jr, the prime minister of Rwanda, and everybody’s favourite warmonger, Tony Blair. 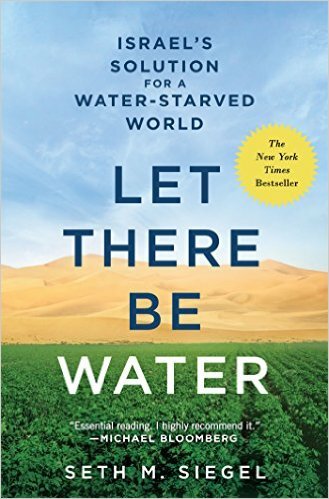 The book is, indeed, very interesting reading – going from attacking cultural factors, to technical fixes (desalination, extracting water from waste), to pricing water and public management of resources. There is even a fascinating chapter on Israeli-Iranian water cooperation from before the Iranian revolution to now. It is an exciting story, and when Siegel writes, “In about ten years, beginning shortly after the new century, Israel went from scarcity of water and fear of drought to abundance and independence from climatic conditions,” you are tempted to cheer. It is when you read the quote of Ori Yogev, a senior government official and former water entrepreneur, who says, “Our conquest in water was like winning a second war of independence,” that should set off alarm bells. Water is not conquered, people and lands are, and, in fact, part of Israel’s water “success” has been that conquest. It is in ignoring and obfuscating that fact that Siegel’s book descends from being a commentary on Israel’s successes to an all-out lie trying to hide the military fist that has been a key factor in Israeli water policy. Lebanon has one citation in the book, spoken of merely as part of the plan to harness rivers. 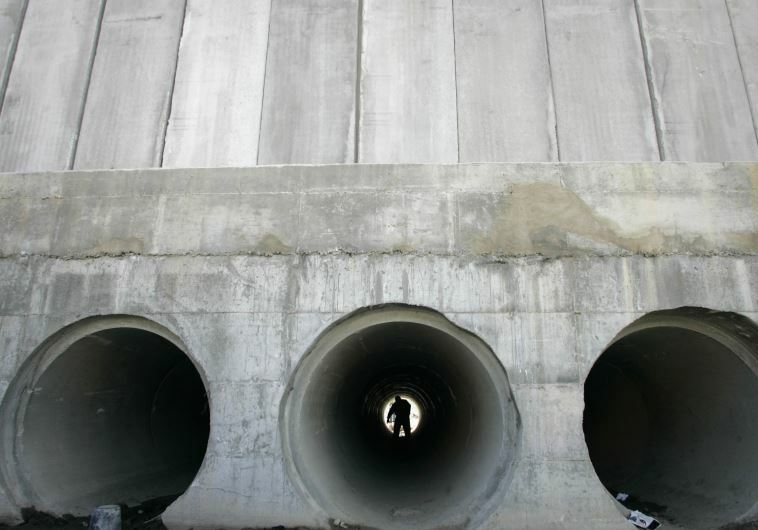 In fact Israel has routinely attacked its northern neighbour’s water infrastructure in an effort to make sure the Lebanese cannot fully use the water from the Jordan river basin. 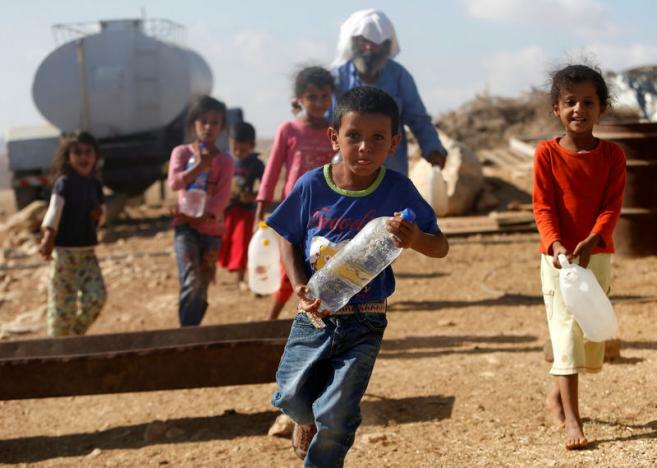 Since before independence, Israel has demanded parts of Lebanon’s Litani valley, and continues to occupy Syria’s Golan Heights, a water-rich area. The example of the Palestinian Territories is even worse. To his credit, Siegel provides a fairly detailed and rich commentary on the problems of water management, and politicisation. Of course, all blame rests on Palestinians – who have “politicised the issue”. He neglects to mention that Israel completely controls Palestinian water, and that wells below a hundred feet cannot be dug without Israeli permission, that the Israeli “security barrier” completely encircles Qalqilya, which sits atop the biggest aquifer on the West Bank, or that the water supply of Palestinians is cut off while swimming pools slosh over with water in illegal Israeli settlements built on stolen land. Surely, surely, Siegel would notice this? But sadly he does not. Instead he quotes Alon Tal, a professor at Ben Gurion University, who says, “I give Israel shockingly good grades for providing water to Palestinians, especially in the last ten to fifteen years.” No doubt other Israelis would be shocked, too, especially ones like David Shulman, who teaches at Hebrew University, and have documented the deliberate denial of water to Palestinians. The lack of reflection is startling, and for an informed audience, Siegel’s story comes across as a sophisticated lie. This is unfortunate, because Israel is not just its brutal military and occupation, and its successes deserve to be recognised and applauded, even emulated. But that success is hidden by Israel’s own actions. 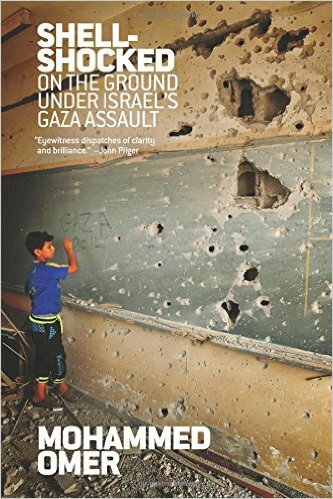 While I was reading Siegel’s book, I also received Mohammed Omar’s Shell-Shocked: Dispatches from a War, On the Ground under Israel’s Gaza Assault. These are a set of essays collected in a book, written as Omar lived out Israel’s Operation Protective Edge, launched in 2014. 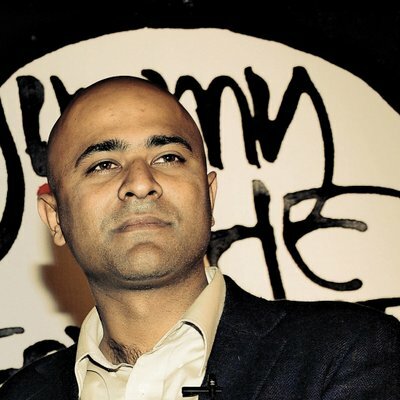 It is difficult to go through – the essays were not written to be collected, and thus make for patchy reading, as Omar talks of hospitals being hit, of trying to comfort his baby, of drones and missiles, of being a civilian trapped in the jail that is Gaza, as Israel launched its assault. This is not the Israel with solutions for itself, much less the world.